For over 30 years, Adam Equipment has been producing industrial balances and scales, and is professionally renowned across the globe for their superior quality. This reflects a steadfast commitment to both customer satisfaction and user-focused product development. With emphasis on innovation, Adam Equipment has always focused on designing and manufacturing its own scales and balances. Adam Equipment is an ISO 9001 manufacturer, with research and development based in the UK. The company meets, or even exceeds, most international manufacturing standards and regulations. By investing in its manufacturing capabilities, Adam Equipment is able to make the complete weigh mechanism at the company’s own production facilities. Products are designed and built to ISO 9000 standards, and tested to meet regulations for EN45501-2015, OIML R76, and NTEP Handbook 44 where required. Adam and OEM-branded products are used in a variety of daily applications, and can be seen in the scientific, medical, educational, industrial, manufacturing and retail sectors, and can be relied upon to provide consistent and accurate results. The company’s UK engineers work closely with independent test laboratories around the world to create approved products that can be used in a variety of regulated environments. 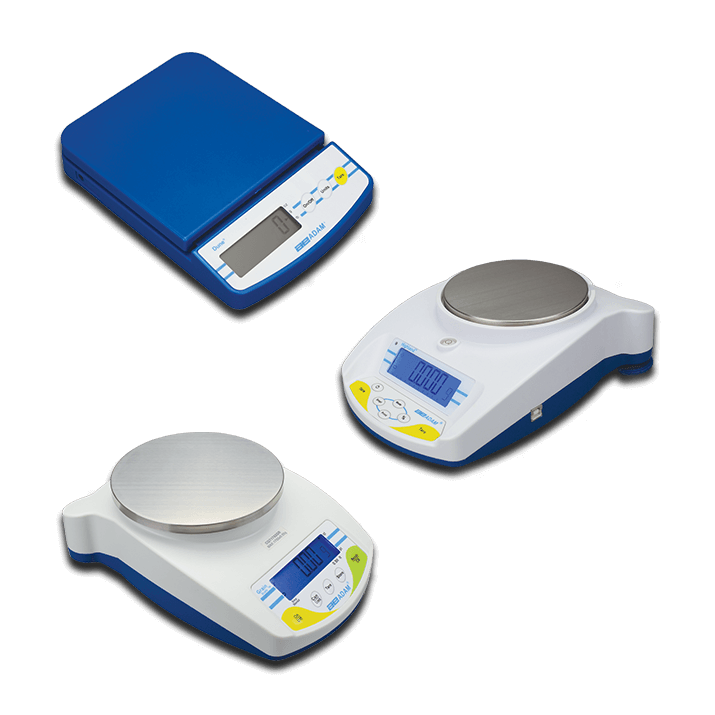 Adam Equipment’s analytical balances are precise laboratory scales for measuring mass to a high degree of precision, with up to 0.1mg – 0.001mg readability. They usually include draught proof weighing chambers for precise measuring of mass up to four decimal places, and are commonly used for formulation, density determination, purity analysis and conformance testing. Suitable for laboratories of all types and sizes, Adam’s analytical balances feature a compact footprint, so they occupy minimal space on crowded lab workbenches. These balances offer a host of features to simplify even the most complex weighing applications. 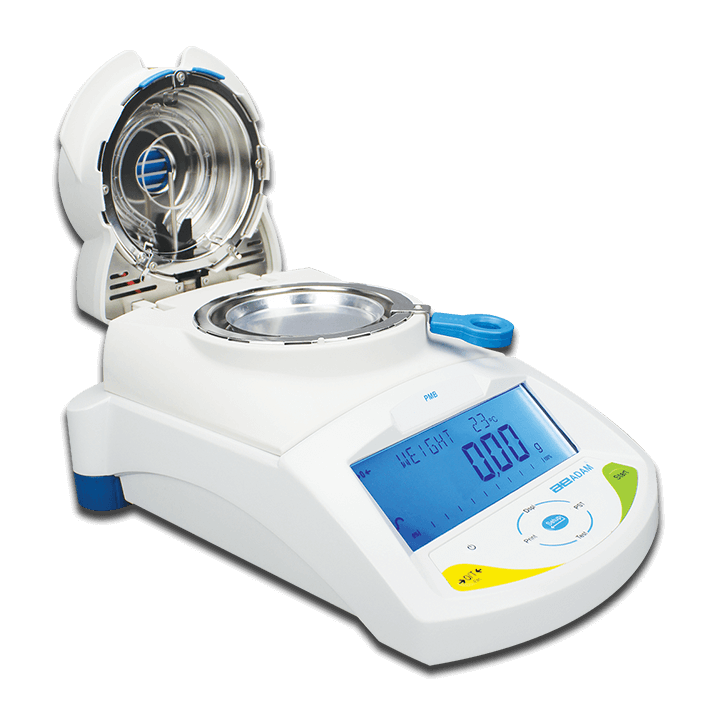 The analytical balance is equipped with weighing chambers to improve precision and ensure consistent results. Adam Equipment’s portable compact precision balances are the right choice for labs, classrooms, field settings or manufacturing operations. Lightweight and easy to operate, they are powered by AC adapter or battery, allowing use in the field or at remote testing locations where electricity is unavailable. Adam’s portable compact balances offer the features and functions needed for many different applications. They are well-suited for performing basic mass measurement in general science lessons, chemistry labs and physics classrooms. Adam balances and scales can perform quality control tasks and measurement for packaging and filling in small manufacturing facilities or food processing plants. Adam digital balances are constructed from durable materials, so spills can be cleaned up quickly and easily. 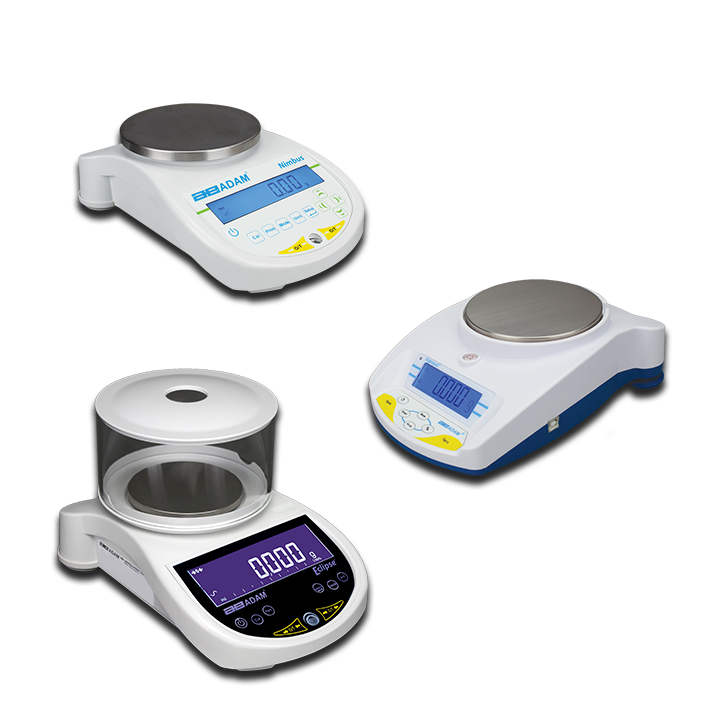 Equipped with a multitude of intuitive features and functions, Adam Equipment’s top-loading precision balances are well-suited for laboratory use, quality control testing, manufacturing operations and production applications, and can efficiently perform tasks such as formulation, density determination, purity analysis, quality control, packaging and filling, and materials and conformance testing. With Adam’s precision balances, it’s simple to perform high precision weighing and achieve accurate results. Adam offers many balances with data output and tracking capabilities to allow system integration for GLP compliance. 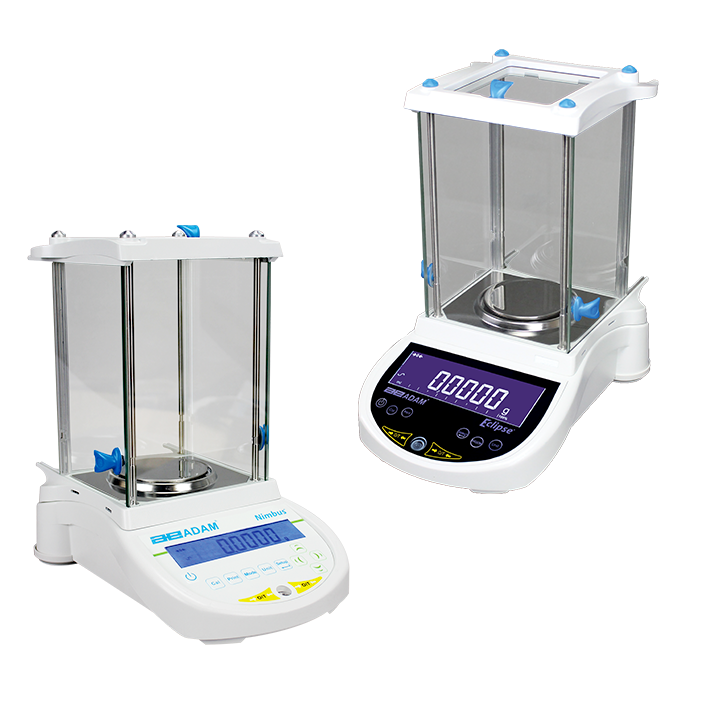 From high capacity weighing of test materials to measuring small sample amounts, Adam Equipment’s precision balances consistently deliver increased efficiency and accurate results. Fast and efficient, the PMB moisture analyser by Adam Equipment provides an alternative to the time-consuming method of oven testing. In many cases, the PMB can replace traditional oven testing and also the Karl Fischer titration method of analysing moisture. The PMB not only quickens the drying process, it also minimises the possibility of burning a sample, which can produce false results. The PMB moisture analyser uses the basic ‘loss-on-drying’ technique to simultaneously weigh and heat the sample, reducing the testing period and providing greater measurement accuracy. 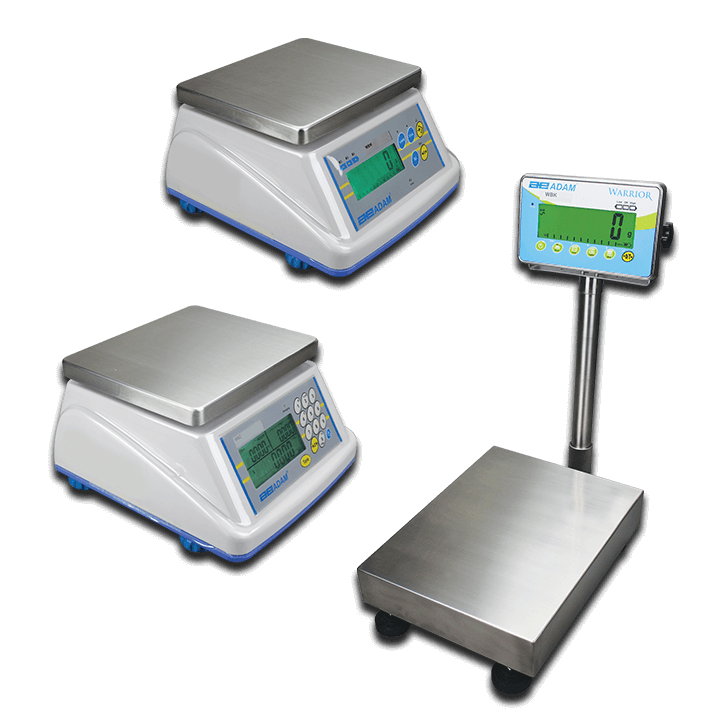 Adam Equipment offers a broad selection of durable, IP66-rated wash-down scales for various types of weighing tasks. All wash-down scales can be thoroughly cleaned with a pressure washer, as they incorporate stainless steel parts and watertight seals. Ideal for use in many industries, Adam wash-down scales are well-suited for weighing food and beverages, powders, chemicals, pharmaceuticals, or for any application needing a sealed scale for wet or dusty environments. This allows for removal of any residual particles after weighing, which minimises the possibility of cross-contamination, removes dirt build-up and helps eliminate the growth of bacteria, mould or other toxins. Adam Equipment offers a range of platform scales designed with a range of features ideally suited for demanding, heavy-duty weighing in factories, shipping and receiving departments, warehouses, and loading docks. 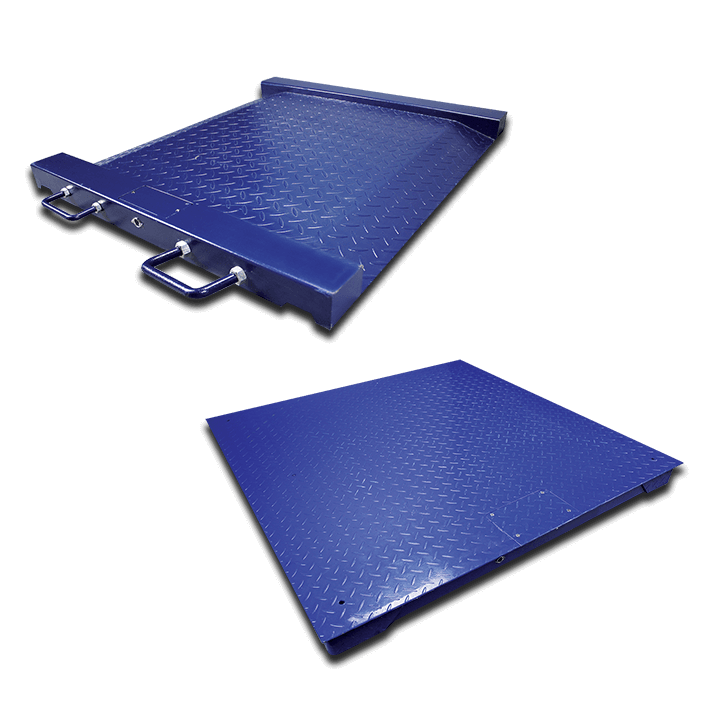 Adam’s platform scales are perfect for weighing large boxes, shipping crates, pallets, heavy luggage and other oversized items. Constructed from durable steel, Adam’s platform scales feature a diamond-textured surface to provide additional stability and traction.